Apologies for not adding any entries to this blog recently but my wife and I are currently enduring house renovations. If you're interested here's a photo of our house from a couple of weeks ago. As our roof is being modified I decided to move my books into plastic containers to keep them safe. Consequently that, along with my wife's enforcement of budgetary constraints, has led to very few Bond paperback purchases lately. There was one recent book purchase though. 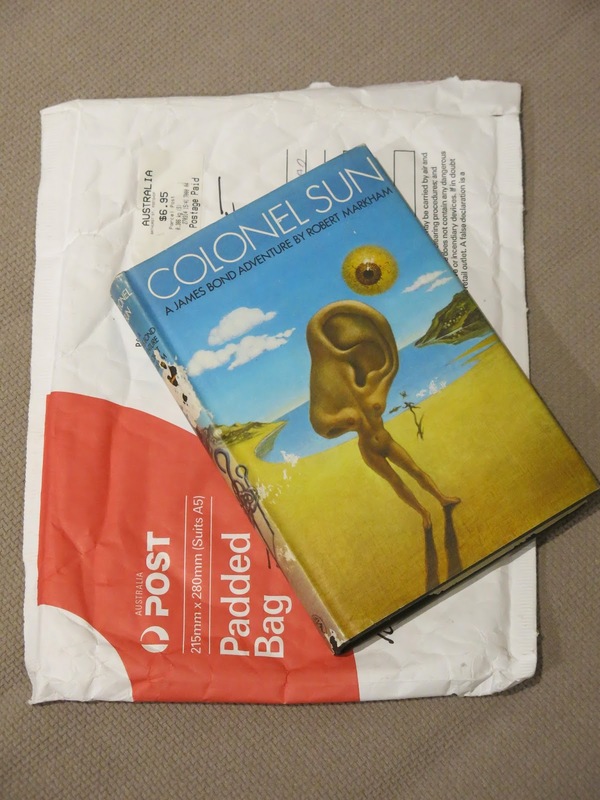 I managed to find a Jonathan Cape first edition of "Colonel Sun" by Robert Markham. Unfortunately the dust-jacket has been attacked by silverfish but the book itself is in great condition and the price was too good to refuse.